According to the party, President Akufo-Addo is to be blamed for the mayhem perpetrated by the the governing New Patriotic Party (NPP) affiliated vigilante group. 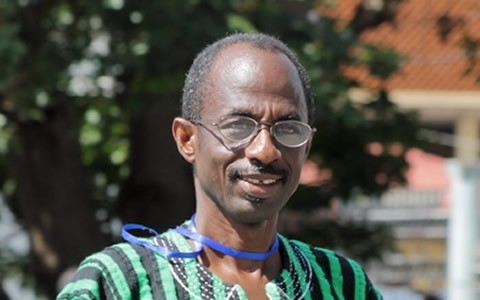 “This shameful and barbaric conduct by the so-called “Delta Forces” of NPP is absolutely repugnant, bizarre and reprehensible,” added the statement signed by Johnson Asiedu Nketia, the NDC’s General Secretary. This, it said, has led to the dastardly unleashing of uncontrolled terror and mayhem on innocent citizens, public servants and the worse of it all; its extension in a most sinister manner to both the security apparatus and judiciary. Some members of Delta Force, a vigilante group affiliated to the ruling New Patriotic Party in the Ashanti region Thursday morning stormed a Kumasi Circuit Court to free 13 of their members who were facing charges for causing mayhem at the Ashanti Regional Coordinating Council. According to information gathered by Starrfmonline.com, the irate group destroyed court properties and freed the suspects in the process. The 13 members were detained in connection with attacking the Regional Security Coordinator. The marauding group also attacked the presiding judge who had earlier ruled that the suspects be remanded to appear before court on April 20, 2017. The Inspector General of Police (IGP) David Asante Apeatu said the group associated with the governing New Patriotic Party (NPP) overwhelmed the police at the Kumasi circuit court. “…they (police officers) were overwhelmed by the numbers that came to the court to beseech the court to enable these accused persons to escape,” he said. Meanwhile, all the 13 members of the group who escaped from the court room have turned themselves in, a police statement said. PRESIDENT AKUFFO-ADDO AND NPP MUST TAKE FULL RESPONSIBILITY FOR TERROR ATTACK BY THE MILITANT LAWLESS “DELTA FORCE” ON KUMASI CIRCUIT COURT. 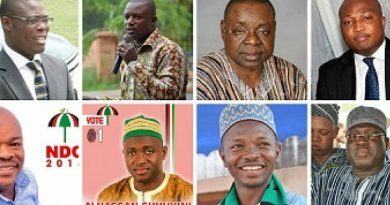 The National Democratic Congress (NDC), condemns in no uncertain terms and without any reservations, the attack on the Circuit Court in Kumasi yesterday, by a group of lawless brigands known as the Delta Force, who owe unalloyed allegiance to President Nana Akuffo-Addo and the New Patriotic Party (NPP). This shameful and barbaric conduct by the so-called “Delta Forces” of NPP, is absolutely repugnant, bizarre and reprehensible. These wanton unleashing of acts of banditry on the people of Ghana since the, 7th of January, 2017, when Nana Akuffo-Addo took over the reins of Government, cannot be tolerated any longer in Kwame Nkrumah’s Ghana in this 21st Century. The judiciary is the last bastion for the protection of our fundamental human rights as a People, as well as the maintenance of the rule of law in a free and democratic country like the one that we have worked tirelessly for decades to establish for ourselves. It is extremely shameful that less than 100 days after being handed over a peaceful Ghana by the outgone NDC Administration, the Government of President Nana Akuffo Addo has shown unprecedented levels, of, WEAKNESS, GROSS INCOMPETENCE, and an INABILITY to maintain the basic tenets of law and order and its attendant twin of the protection of life and property. 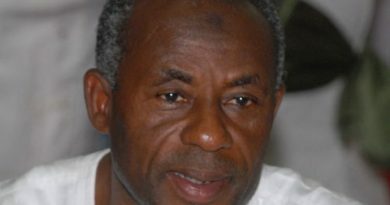 The loud silence and unresponsiveness of the President, to calls by well-meaning Ghanaians to bring these party militants to order, has led to the dastardly unleashing of uncontrolled terror and mayhem on innocent citizens, public servants and the worse of it all; its extension in a most sinister manner to both the security apparatus and judiciary. The National Democratic Congress considers yesterday, Thursday, April 06, 2017, as a DAY OF SHAME. Indeed, we have labelled the day as the ‘BLACK THURSDAY’ in Ghana’s Fourth Republican Dispensation, and shall forever remember it as a sordid black spot on the democracy of Mother Ghana. The NDC is calling on President Akufo-Addo whose NPP is directly responsible for this dastardly attack on the Institutions of State, to act swiftly and bring his fellow party members perpetrating these ignominious acts to book in order to redeem the enviable image of Ghana as a peaceful exemplary democratic country which was bequeathed to him less than 100 days ago. The NDC would also like to assure all State Institutions that the democratic culture nurtured among Ghanaians in almost a quarter of a century of our recent political dispensation will not be allowed to be bastardised by Nana Akuffo-Addo and his roguish Groups of lawless gangsters. In the build-up to the 2016 General Elections, the NPP was culpable in the importation of South African Mercenaries into the country to train hoodlums in Agona Dwakua, and it is not surprising therefore that after using all kinds of subterfuge tactics to walk its way into power, Nana Akuffo-Addo has let loose his thugs on innocent Ghanaians as well as Institutions of State. We therefore join a host of, well-meaning citizens, political Parties, and social activists, in forcefully condemning the actions of these militant and fiendish wings of the NPP. The recent incident of raiding a law court and freeing criminals on remand, brings to the fore the high rise in the practice of organized political thuggery and terrorist activities by the NPP since President Akuffo-Addo got sworn-in as President. The violent takeover of state agencies; offices and institutions; burning of toll booths; vandalism of police stations; are some of the dastardly acts that have been carried out by the NPP’s thugs. Of course, on numerous occasions, NDC members have been brutalised by these NPP militant wings and activists. The lack of action on the part of President Akuffo Addo and the NPP Government to stem the rise of these deluge of lawlessness in Ghana has made it very difficult for the NDC not to conclude that there is an organized and state sponsored agenda to run the country by private party militia groups in clear violation of our Constitution which prohibits private militias. To put it pointedly; President Akuffo-Addo and the NPP, are consciously sponsoring “state terrorism”!!!!! Ghana is on a slippery path towards enabling the activities of terrorist groups to fester and gain roots and it must not be countenanced. The signals Ghana is currently witnessing, are very similar to what happened in countries that have become theatres of political intolerance, vigilante justice and ultimately violent terrorism and civil conflicts. As matter of urgency; and to show a strong commitment to the fight against terror and terrorism, the NDC is calling on the Ghana Police to immediately effect the arrest of Hon. Kennedy Agyapong who in the full glare of public television, made it abundantly clear that he is the master brain behind the lawless acts of the Delta Forces, and also went ahead to dare the State to prosecute these militants, and bear the brunt of the wrath of himself and the NPP. Such arrogance!!!! We also use this opportunity call on the following security bosses who have shown complete failure in dealing with this matter, to resign their positions with immediate effect; the Interior Minister, the Minister for National Security, the Inspector General of Police and the National Security Coordinator. That the President take full responsibility for these actions. The NDC is by this statement giving the President a 7day ultimatum for these actions to be taken. If these actions are not taken by the end of the 7 days, we shall embark on a series of mass actions via all peaceful and lawful means to press home our demands further to ensure that this “Black Thursday” never occurs again in the annals of Ghana’s history. 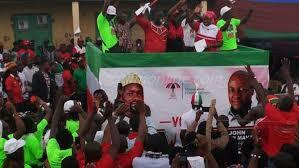 Ghana is the land of freedom and justice; the NDC demands justice for ALL citizens. Never; shall the National Democratic Congress sit idly by, and watch Nana Akuffo-Addo and the NPP destroy this dear nation of ours!!! God forbid!!! !